Jedi and I are really enjoying our nose work classes. He thinks it's the best game ever! In fact, he sticks his head in every box that comes in the house just in case there's a piece of chicken in it. Unfortunately, not everybody thinks this is as funny as I do. Hey! There's food in this one! Last night's class was the most challenging so far. 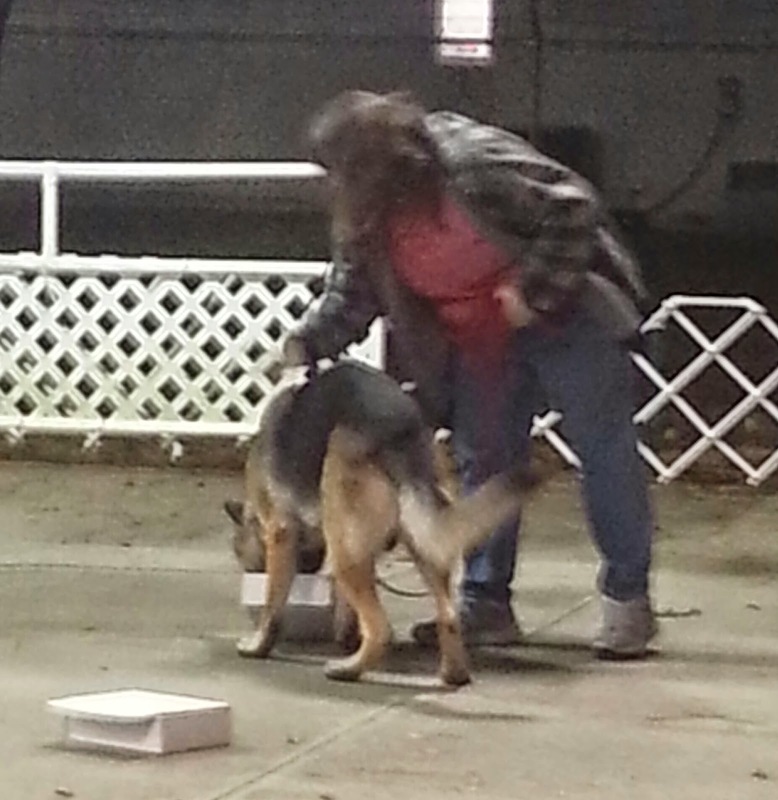 We're working on leash handling. My job is to keep the leash from getting tangled up without distracting or impeding Jedi. (That's harder than it sounds, especially since neither of us are very graceful.) I also need to make sure that Jedi searches the entire area. I try not to look where the instructor hides the food so I don't inadvertently clue him in. 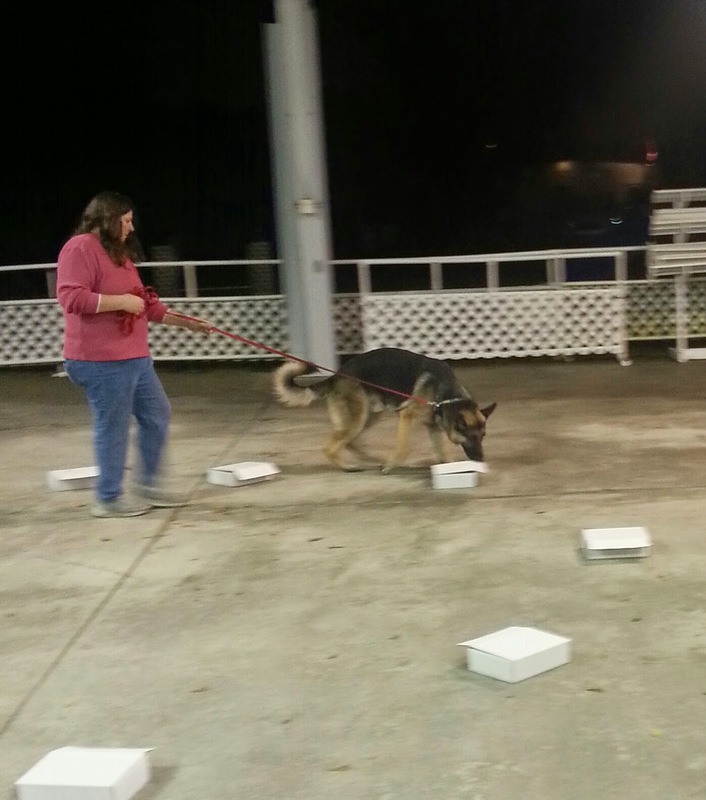 Last night all the boxes were identical, so I really had to pay attention to which ones he whas checking. In his excitement sometimes he would skip over a box (or section of boxes) and I had to lead him back to the missed area. I also have to be aware of air currents. Jedi is most successful when he's downwind of the odor. Who knew *I* had to pay so much attention! We've started pairing the food with the target scent. 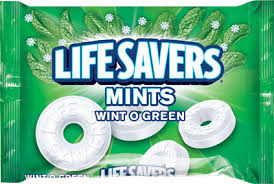 We're using sweet birch oil (Betula lenta) which reminds me of Wint-O-Green Lifesavers. (This is not to be confused with oil from other types of birch -- apparently there's a difference.) We were asked to bring a small, glass jar to class. We did, and Instructor gave us sweet birch scented Q-tips so we can practice pairing at home. And we were advised NOT to phase out the food for a very long time, no matter how much we want to.